71% of Jews who are not Orthodox marry someone who isn’t Jewish. Be a leader in serving these couples. 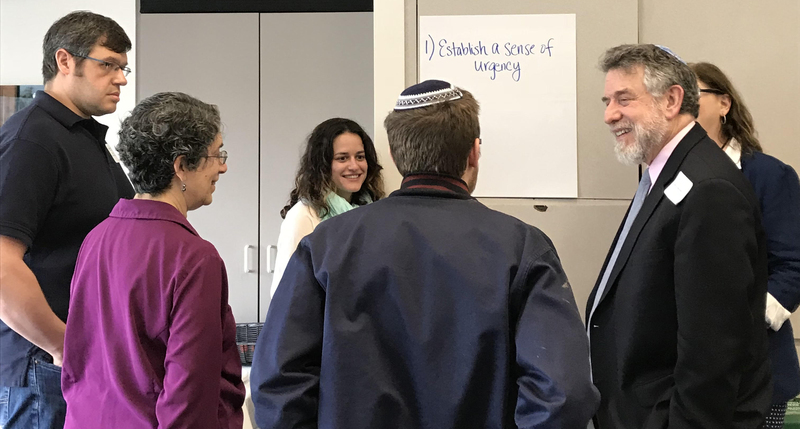 InterfaithFamily (IFF) is proud to announce the first-of-its-kind IFF Rukin Rabbinic Fellowship Program. The Rukin Fellows will become part of a unique community of practice which will help them to hone their skills working with interfaith couples. All Rukin Fellows will receive preferred listing in IFF’s Officiation Referral Service, mentorship from IFF experts, access to our resources and codified materials, the opportunity to facilitate workshops and programs for couples and more – including a $5,000 yearly stipend. Connecting with local interfaith couples through IFF’s Officiation Referral Service and helping them, among other things, to find clergy to officiate their lifecycle events. By the time they have completed the Fellowship, Fellows should have connected with at least 50 local people in interfaith relationships (some, though not necessarily all, through IFF’s Officiation Referral Service), helping them, among other things, to find clergy to officiate their lifecycle events and to navigate their interfaith relationships. WE ENCOURAGE ALL POTENTIAL APPLICANTS TO REACH OUT TO RABBI ROBYN FRISCH (robynf@interfaithfamily.com). APPLICATIONS FOR OUR SECOND COHORT WILL BE AVAILABLE IN OCTOBER 2019.